I can’t believe that May is already almost over. In less than a week I’ll be heading to NYC to spend my summer there. I am SO excited! My roommate is actually a photographer and blogger, so there will definitely be a lot of fun and creative looks coming to the blog this summer. For those of you who aren’t huge fans of liketkit (I actually love it and shop my blogger friends’ looks from there! ), I thought it would be easy to do a roundup. Also, if you are signed up but sometimes can’t wait to get the emails, you can always go HERE to shop all my looks! I can already tell you that this dress is going to be on major repeat this summer. 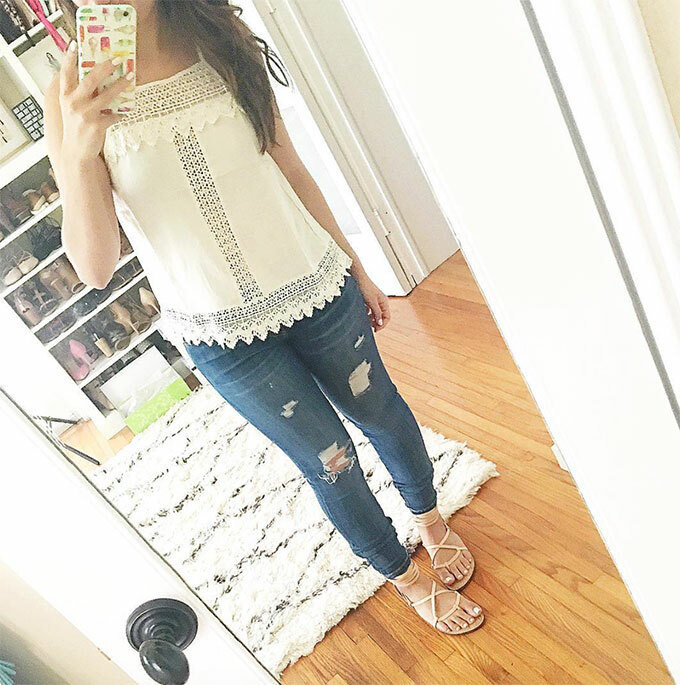 It’s so comfortable and perfect for summer days. Also, these wedges are under $100 and SO comfortable! I was standing in them for 3 hours and felt good. 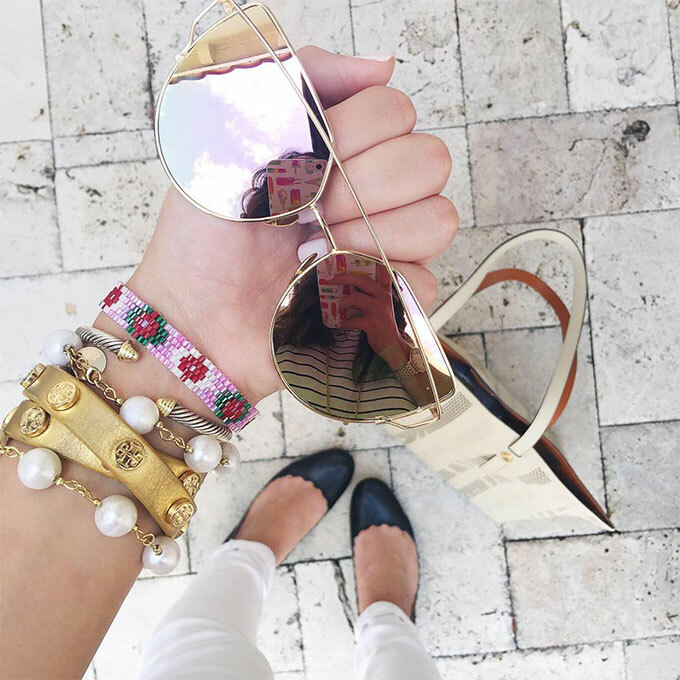 Say hello to the perfect shoes! They’re comfy, cute and at a great price point. 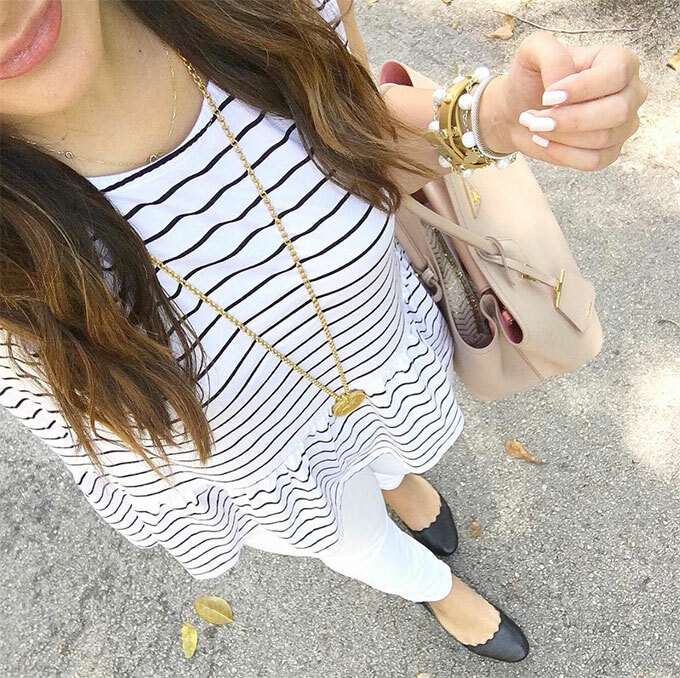 Put stripes and peplum together and I am sold. 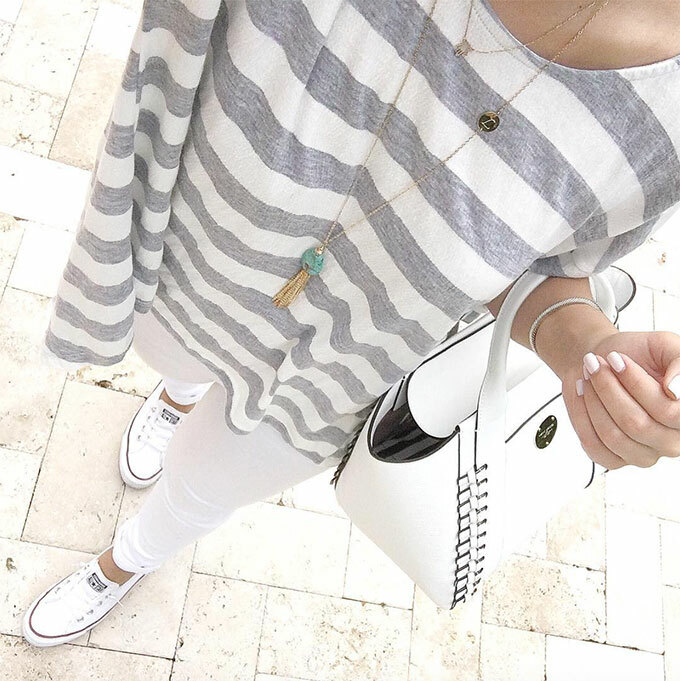 This chic and classic striped top will definitely be worn many (many) times. My favorite shorts that are perfectly priced! This little tank is so cute! I also love these cork sandals. They come in gold, too! I wish I could explain to you just how soft this tee is through the screen. But, since I can’t, I urge you to buy one for yourself! It is SO comfortable and the split back is such a cool twist on the basic tee! Regram of my favorite knit dress that is on sale right now! SO comfortable! Also, Nordstrom is having their half-yearly sale and the deals are too good. A lot of stuff I’ve worn in the past is on sale! I’ve linked a bunch of stuff I’ve worn that are reduced below. Things are selling out fast so make sure to hurry up! I’ll be posting weekend deals on the blog this weekend, too. So make sure to come back and check! You and your roommate are going to have so much fun being creative together all summer. So many fun adventures! Love all of these outfits so much! Oh my! Everything you posted is adorable! These outfits are amazing!!! This is such a great post! thank you so much for sharing, you look great! I love everything. Want it all! Especially that cute beach bag! Have a great long weekend! Great roundup! I love the necklaces in that first picture! Obsessed with it all!! I so need those tassel lace ups!! They are amazing. Can I just have your wardrobe?! You’ve gotten so many amazing pieces lately!! You always have such cute outfits! I LOVE those sandals with the tassels!